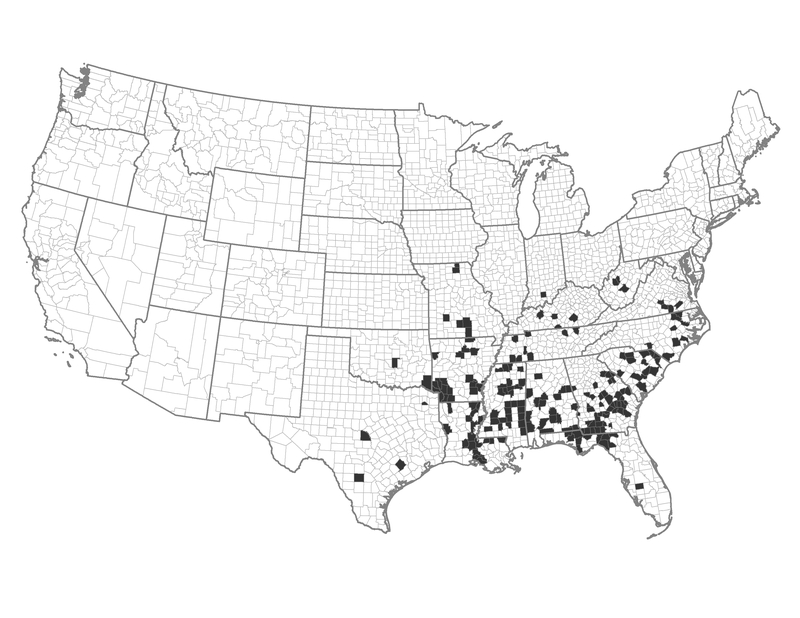 These heavily forested counties mostly fall within the southeastern United States in Coastal Plain and Piedmont. There is small federal and state ownership, and extensive private industry. This area is characterized by significant Wildland Urban Interface (WUI) and is more urbanized than the national average. There is a history of prescribed fire, but conflicts may arise due to the proximity of the human population. Example of a Typical County — Jones County, North Carolina: This rural county includes longleaf pine in the Croatan National Forest and Hofmann State Forest. These counties have a history of using prescribed fire and could expand or maintain use of this fuel management option. There may be an active forest products industry nearby, which could support fuel treatments. Treatments may be economical as a precursor to prescribed fire.